Trifexis provides protection for dogs against fleas, heartworm disease, hookworms, roundworms, and whipworms all in one monthly chewable tablet. If you cringe at the idea of having to give a monthly tablet to your pet for heartworm prevention ask us about ProHeart 6! 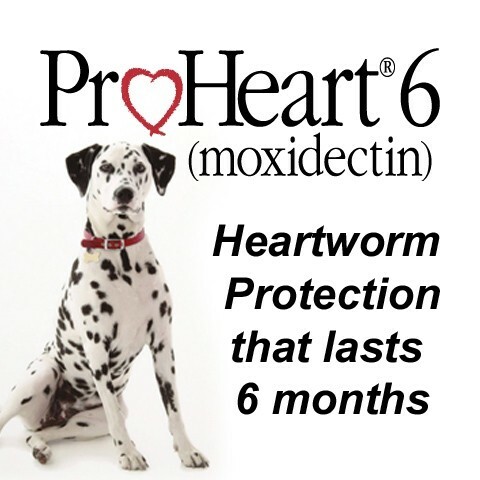 ProHeart 6 is an injectable six-month heartworm prevention. ProHeart 6 provides a unique option for heartworm prevention, providing a full six months of protection in a single injection as a sustained release product. In addition, ProHeart 6 treats existing larval and adult hookworm infections caused by Ancylostoma caninum and Uncinaria stenocephala. Do you ever find "leftover" heartworm pills you have not given your dog? Have you ever been late in administering your dog's heartworm medication or missed a dose completely? The lasting protection gives you the security of knowing that there is no lapse in prevention and helps eliminate stress that can occur by forgetting a dose or not giving on time. ProHeart 6 can be used in dogs six months of age and older to prevent heartworm disease (Dirofilaria immitis) for six full months. Like other heartworm preventives, your dog needs an examination and a negative heartworm test before starting ProHeart? 6, and dogs over the age of seven should stay with their current prevention rather than switching over. HEARTGARD Plus helps prevent canine heartworm disease, and treats and controls roundworms and hookworms, too. Click on above picture to go Heartgard website. 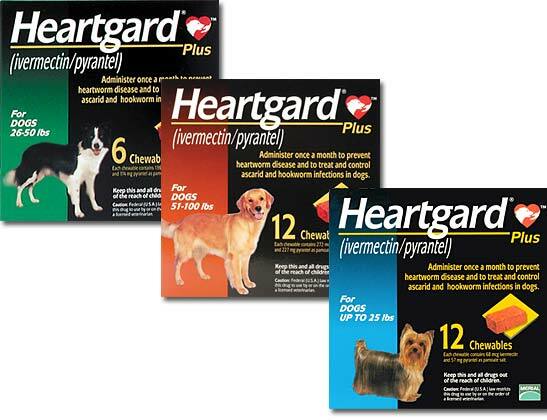 HEARTGARD Plus used monthly as directed can help prevent heartworm infection in your dog ? and can help your dog avoid the risk, stress, and long periods of confinement that go along with treatment for canine heartworm disease. HEARTGARD Plus is made with real beef ? dogs love the taste. 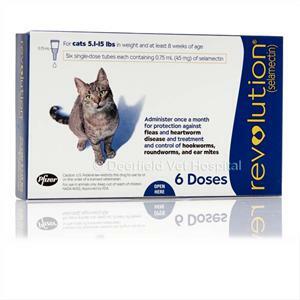 NOTE- Evers Veterinary Clinic only carries Revolution for Cats only. Revolution is the safe, simple way to protect your dog or cat from a range of harmful parasites. 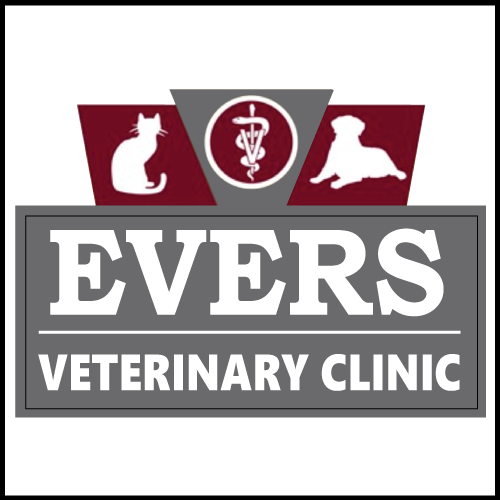 This monthly topical application prevents heartworms while controlling fleas and ear mites. Revolution is safe for use on puppies and kittens over six weeks of age and is waterproof after two hours, so it remains effective even after shampooing, swimming, rain or exposure to sunlight.